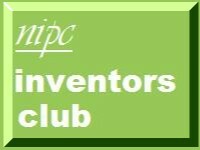 Over the last few months we have said a lot about FabLabs in this and our accompanying blogs (see Jane Keats on "Factories of the Future" 7 Nov 2011 and the "Further Information on FabLabs" at the end of my article on Haydn Insley's talk to the Liverpool Inventors' Club of 28 Jan 2012). The first FabLab in Britain opened in Manchester and I wrote about it in "FabLab Manchester" and "The Manchester FabLab" in IP North West on 18 July 2011. 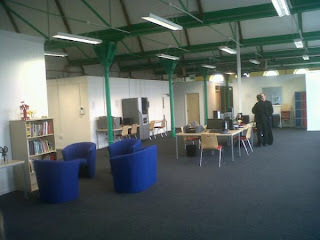 Now a second FabLab has opened in Keighley and I took a look at it on 20 April 2012. The Keighley FabLab (known as "FabLab Airedale") is a joint venture between Bradford City Council, the Airedale Partnership and Leeds City College which has a campus at Keighley. The connection with the College enables the FabLab Airedale to supply business as well as technical advice to users. That is a service that not every FabLab can offer. FabLab Airedale has all the equipment that I saw in Manchester on 5 August plus two impressive bits of kit of its own, namely a Denford lathe and a Denford router, Denford is based in Brighouse which is not far from Keighley. James Kitson, the manager of FabLab Airedale worked there before he took up his present appointment. If you have not yet visited a FabLab you have an opportunity on 16 May 2012. Leeds inventors club are paying them a visit on that day between 18:00 and 19:45 (see "16th May Leeds Inventors Group -visit to Fablab Airedale" on the Leeds Inventors Group blog for 30 April 2012). If you want to attend the event call Ged or Stef of Leeds Central Library on 0113 247 8266. The next FabLab to open will probably be Freerange Artists in Carlisle which I mentioned in my article "Introducing IP to Freerange Artists in Carlisle" on 10 March 2012. Others are planned for Scotland, Merseyside and Northern Ireland. If anyone is interested in learning more, there is a FabLabUK group on meetip.com and a FabLab Manchester group on Linkedin. There are also organizations run on very similar lines to FabLab such as Sheffield's Refab Space which I discussed in "Integreatplus's Learning Lunch: Refab Space and FabLab" on 24 Feb 2012 in IP Yorkshire. If you want to find out any more, contact me through my contact form,, Facebook, Linkedin, Xing or twitter or call me on 0800 862 0055.